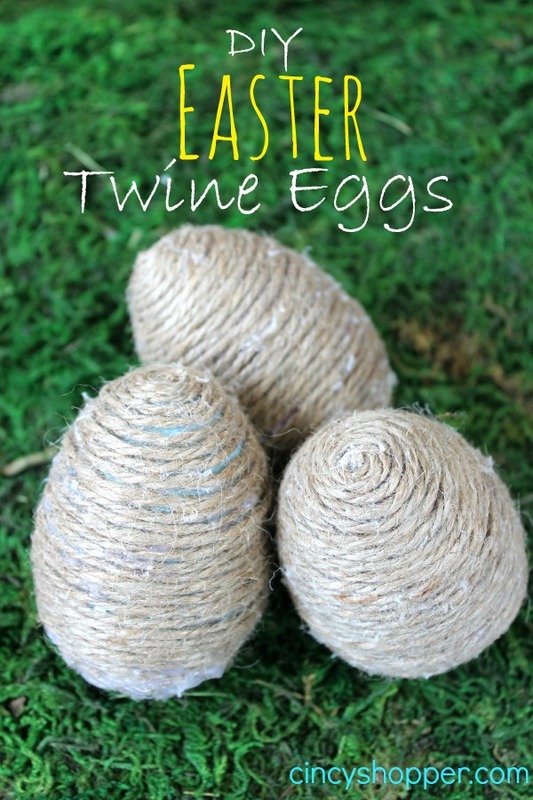 My daughter and I had a great bonding time together making these Easy DIY Twine Easter Eggs this past week. 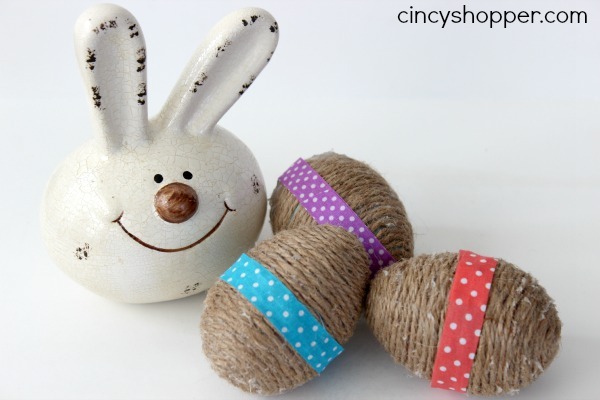 I am always looking for ways to save on holiday decor and these twine Easter eggs are inexpensive and are perfect for adding some Easter decor on the cheap. We all have many of those plastic Easter eggs around our house. If not, they are VERY cheap to buy at just about any store. If you are needing some inexpensive Easter decor, these would be a great addition. You can place them in a bowl with some Easter grass or just place in any Easter decor setting. The supplies are quite simple. 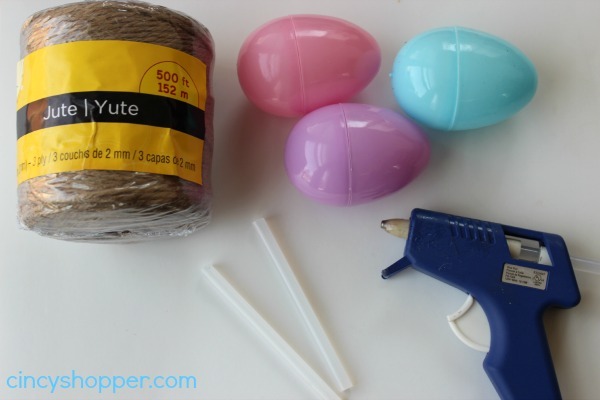 Grab a cheap plastic Easter egg, some twine and your glue gun. I purchased my twine at Michaels Craft store with a coupon for extra savings. My favorite twine I had was actually from the hardware store, ha ha. 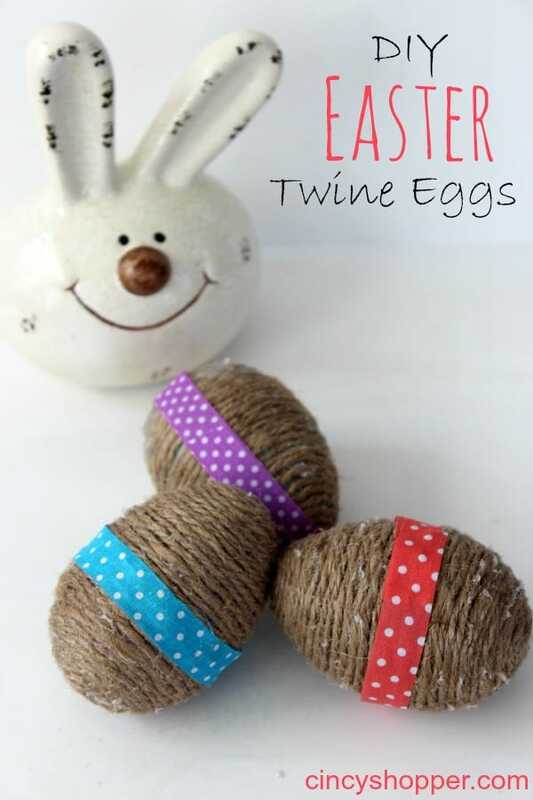 If you would like to add some additional decorations, Washi Tape or even some buttons or ribbon could make these Easter Twine Eggs a bit more decorative. I think they look great with just twine myself. 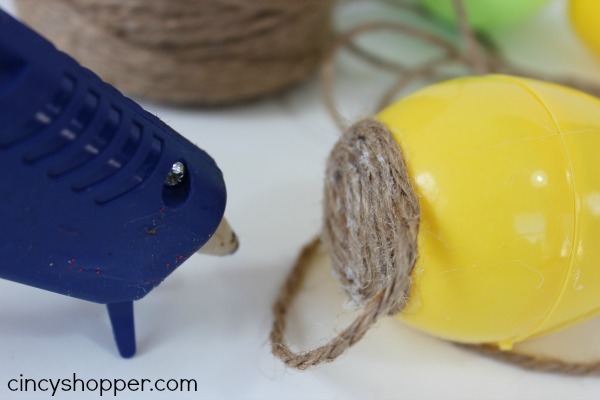 Put a dab of hot glue on the end of the egg and attach the twine. Begin wrapping the twine, periodically putting a dab of hot glue to keep the wine in place. Continue wrapping until the egg is completely covered.